Sunday, February 28 from 1:00 p.m. until 5:00 p.m.
March 3 is Hina Matsuri (Doll Festival or Girls’ Festival), when people pray for the happiness and healthy growth of girls. Families with young daughters mark this day by setting up a display of dolls inside the house. They offer rice crackers and other food to the dolls. 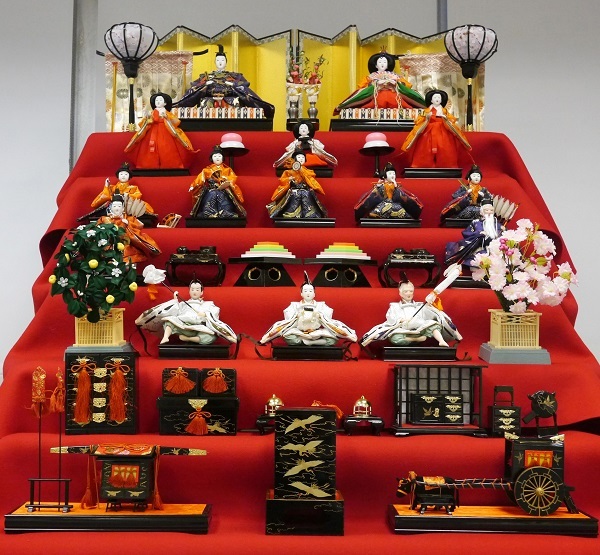 The main feature of this celebration is a set of dolls, called hina ningyo, which represent the emperor, empress, and members of their court. Families display the dolls at home in February and pack them away the evening of March 3. Superstition dictates that if the dolls are left out after March 4, the daughters will marry late in life. Sushi omakase restaurant Kosaka celebrates Hina Matsuri with two art sessions as part of its KOSAKA Art Program. Celebrate Girls’ Day with ikebana and origami, which you can take home after you create it. Sunday, February 28 from 1:00 p.m. until 2:30 p.m.
Asae Takahashi, a graduate from Kunitachi music college, will instruct participants on how to create ikebana (Japanese Style Flower Arrangement) in the style of the Ohara School. After becoming a successful choreographer and performer in Tokyo and having a career in marketing with a Japanese trading company, Takahashi created Zenshow Jyuku, an after-school program that teaches children ethics through traditional Japanese cultural activities. Sunday, February 28 from 3:00 p.m. until 4:15 p.m. Learn folding paper crafts and and participate in Kamishibai, Japanese-style storytelling, at this session. Midori Goto is a New York-based author who was born in Japan and lived in Hawaii during high school before moving to the mainland US 2004. She has been writing novels, scripts, columns, and newspaper articles since before she left Japan, and she published her first book in the U.S. in 2013. Her works generally evoke a sense of the fantastic, and she aims to convey an underlying sense of tenderness. She also is committed to promoting Japanese culture to New York-area students. The programs at Kosaka are recommended for children ages 3-10 with accompanying adults. Seating is limited, so RSVP for your ticket at art@kosakanyc.com. The program is subject to change.